Malta is one of the best destinations in the Mediterranean for sunshine, culture and all types of attractions and holiday activities. In addition to Malta's rich history and beautiful architectural wonders, dining in Malta will prove to be another memorable experience. For Muslim travellers in Malta, we have compiled a list of some of the Halal restaurants that can be visited during a visit to the country. The Maltese Islands comprise three main islands – Malta, Gozo and Comino - which are the only inhabited islands. Malta is the largest of the three islands and is home to almost all of Malta's Halal restaurants as well as mosques. 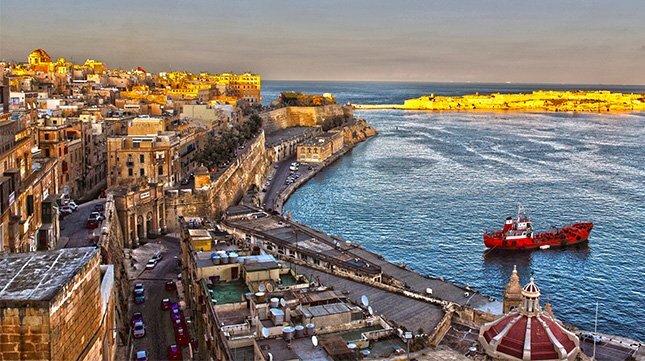 Most restaurants are concentrated in the region around Gzira, St. Julian's and Valletta - the capital of Malta - while a few more can be found at St. George's Bay towards the north of the island. Millenium Kebab is an excellent Turkish restaurant located at the Strand in Gzira. The restaurant offers a wide range of enticing Halal food ranging from lamb and chicken kebabs to beef and chicken sish to mouthwatering burgers. Millenium Kebab also has a second branch at St. Julian's on the main street which can be visited. Moo's Kebab at the Strand, Gzira, is another Tukish restaurant located not too far away. The restaurant serves fantastic kebabs, salads, grills and pizzas, with takeout options available. Another restaurant for Muslim travellers in Gzira is Ali Baba - located at 9 Ponsomby Street. The family-run, cafe-style restaurant is found just off the sea front and is open for lunch and dinner daily except on Sundays and Mondays. Though alcohol is served, the restaurant has been recommended by the island's imam and is run by a Lebanese owner who has been living in Malta for over 25 years. Muslim travellers in St. Julian's will have several Halal dining options to choose from. Intercontinental Malta at St. George's Bay offers eight indoor and al fresco restaurants serving a wide variety of Mediterranean and Continental Halal cuisine. The restaurants offer child-friendly premises with free Wi-Fi internet access and parking is also available. Shakinah at 5 George Borg Olivier Street in St. Julian's is a relatively new restaurant which specialises in Arabian & Indian food. All food served at the restaurant is Halal and is open for dinner daily (except on Tuesdays) from 7:00 p.m. - 11:30 p.m. Suruchi at 35 Ball Street is another newly opened restaurant at St. Julian's. All dishes prepared at Suruchi are Halal-approved and it is considered to be one of the best Halal restaurants in Malta, having been certified by CIBAL Halal. A visit to Suruchi is recommended for travellers who wish to sample authentic Indian and Middle-Eastern food in Malta.